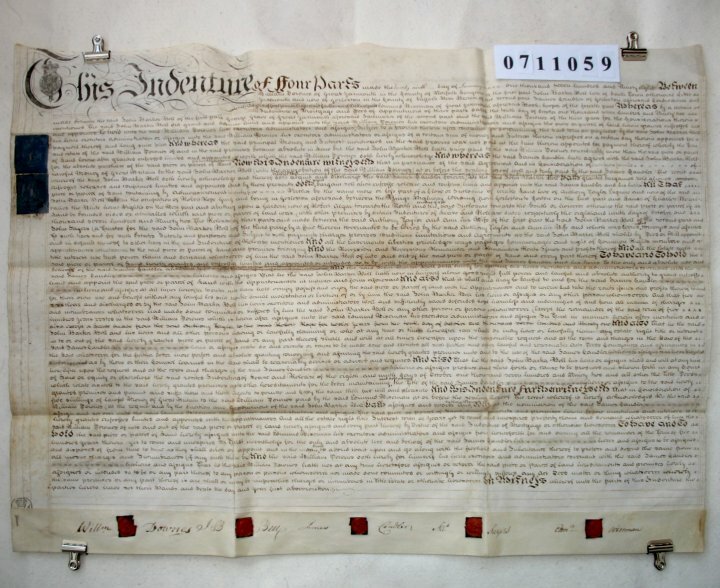 Parchment : 1 sheet 82cm x 60cm with 5 wax seals, 5 signatures and revenue stamp. The document relates to a piece of land of 25 perches in Gorleston, Suffolk, on the West Side of the highway from Gorleston to Corton. We are told that in 1792 John Bell mortgaged this property to William Downs, but has since paid off the mortgage. He is now selling it to James Candler for £26. James Sayers and Edmund Wiseman both act only as trustees and play no real part.